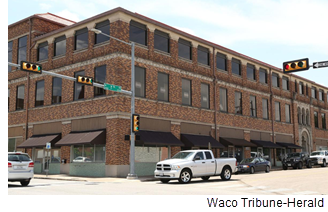 ​​​​​​ WACO – Magnolia Vacation Rentals LLC will purchase two buildings on Washington Ave. for $1.43 million. The 90-year-old Grand Karem Shrine building at 701 Washington Ave. is trading for $930,000. Magnolia is picking up McLennan County’s garage next door for $500,000. ​The deal is set to close Nov. 15.